Godrej had won the orders for 100 sets of airframes for the air-launched missile in December 2017 from the Defense Research Development Laboratories (DRDL). Godrej Aerospace, a unit of Godrej & Boyce, today handed over the first of the 100 orders for the airframes for the air-launched version of the prestigious BrahMos missile systems to Defense Research Development Laboratories (DRDL). Godrej had won the orders for 100 sets of airframes for the air-launched missile in December 2017 from the DRDL. The DRDL will now do the qualification tests of the ingeniously manufactured assembly unit, the company added. The BrahMos missile is a supersonic cruise missile with a flight range of up to 290 km. It carries a conventional warhead weighing 200-300 kg and can cruise at an altitude as high as 15 km and as low as 10m above the ground and maintains supersonic speed (over 1 km per second) throughout the duration of its flight. Being highly versatile, the missile can be launched from land, air or water to seek and destroy targets on land and on water and once fired, the missile doesn't need an further guidance from the control centre, making it a 'fire and forget' missile. The first successful launch of the BrahMos missile took place on June 12, 2001 from a land-based launcher at the interim test range off the Chandipur coast in Orissa. The missile section manufactured by Godrej will undergo testing processes set by DRDL, it said, adding the company will deliver the next set of airframes by December. The company also aims to produce the first indigenous missile booster that till now has been imported. 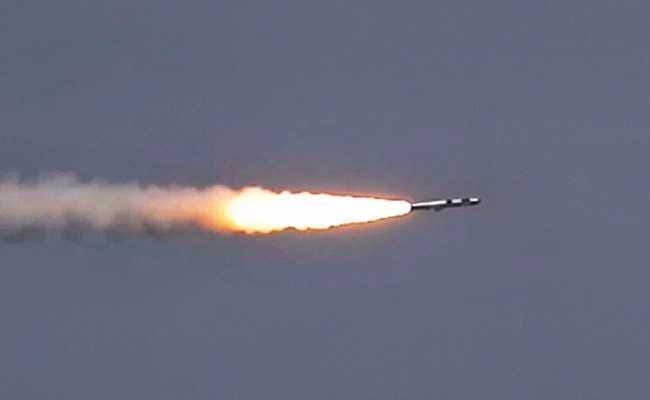 Till date Godrej has supplied over 100 sets of the land version of the missile to BrahMos Aerospace. Congratulating Godrej Aerospace for manufacturing the first airframe, Dashrath Ram Yadav, programme director for BrahMos at the DRDL, said "the delivery of the first air frame assembly for the air-launched version of the BrahMos missile in such a short time frame goes a long way in showcasin Godrej's commitment towards the project as the delivery comes in the span of just eight months." Sudhir Mishra, director general and CEO of BrahMos Aerospace said, indigenous manufacturing of defence equipments brings down costs and enhances the know-how about critical technologies while ensuring reliability of spare parts. Jamshyd Godrej, chairman and managing director of Godrej & Boyce said, it is a matter of pride that today we have handed over the first airframe assembly of the prestigious air launched version of the BrahMos missile in just eight months. "Our partnership with BrahMos and DRDL is unique as it brings together the planning of defence units and the innovation of private enterprise to robustly achieve one strategic goal of securing the nation," he said. Godrej Aerospace has been associated with the BrahMos programme since the inception in 2001 manufacturing most of the metallic sub-systems in the BrahMos missile system. Besides the main airframe, Godrej also supplies control surfaces and nose-caps apart from supplying the mobile autonomous launchers, missile replenishing vehicles for the land launched versions, Godrej said. BrahMos Engineer Arrested For Spying, "Chatted On Facebook With Pak IDs"